All University buildings and land belong to the University as a whole and are subject to assignment and reassignment to meet the institution’s overall priorities and needs. 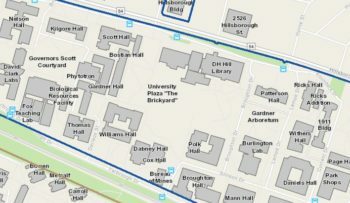 The University Space Committee makes all allocations of university space including Centennial Campus and off-campus rental space. For more information on space requests, consult the University Space Committee web site. A space request form is available from this site.